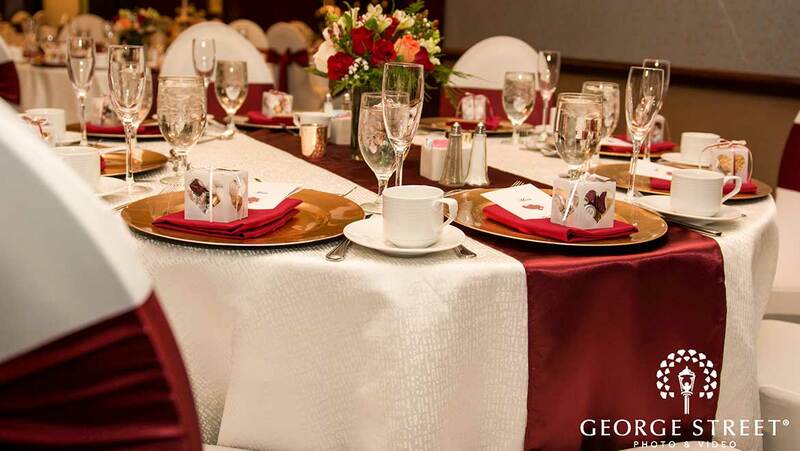 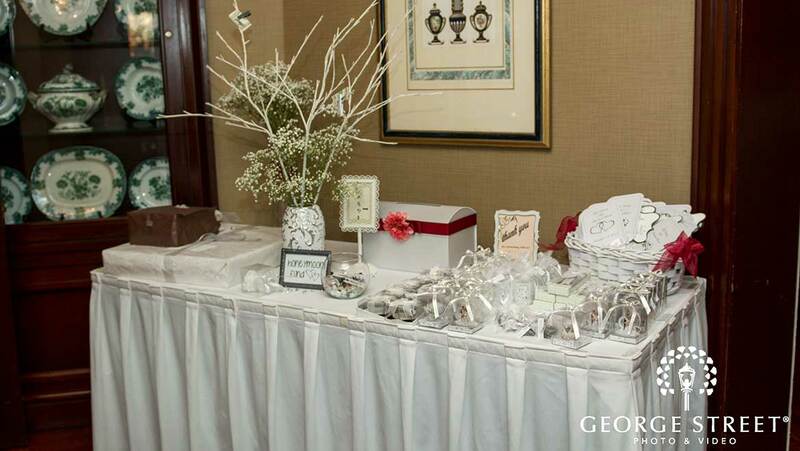 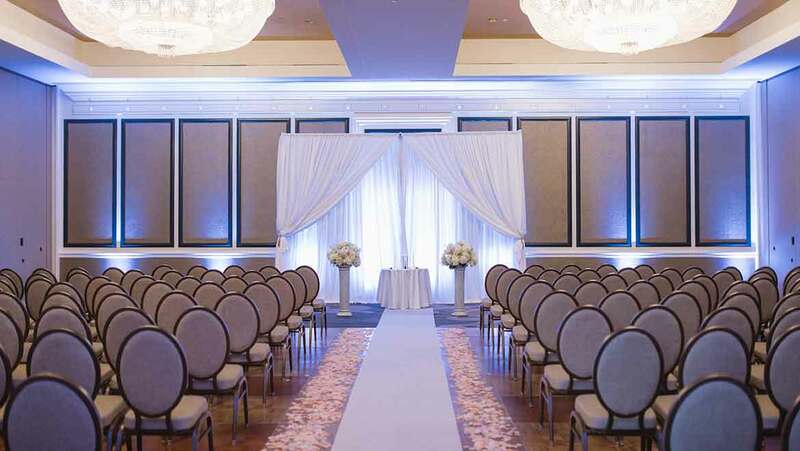 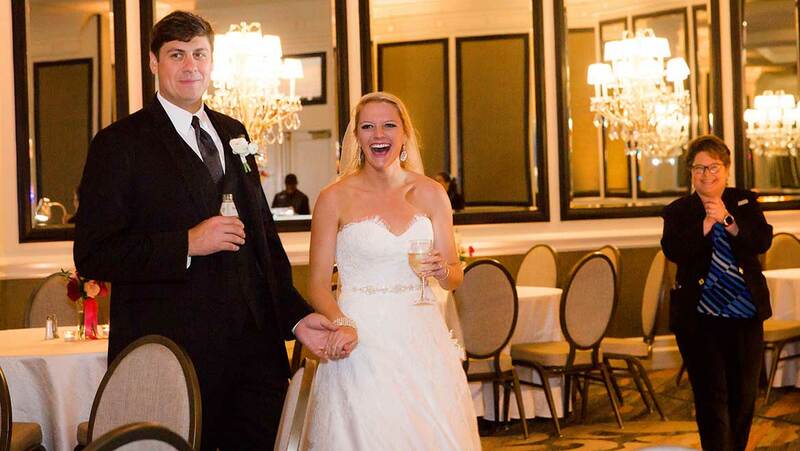 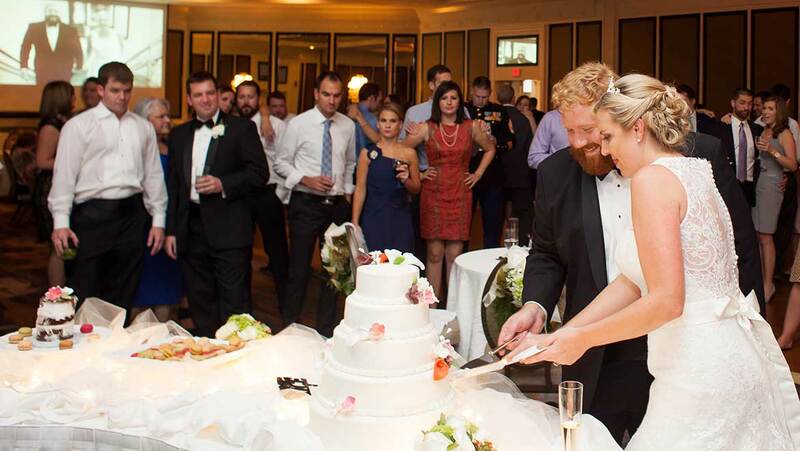 When couples say “I do” at Omni Richmond Hotel there is an intersection of their dreams and our planners' creativity. 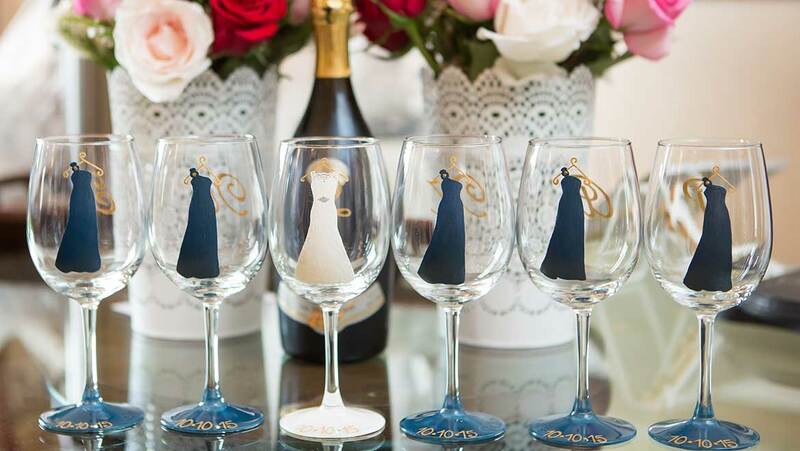 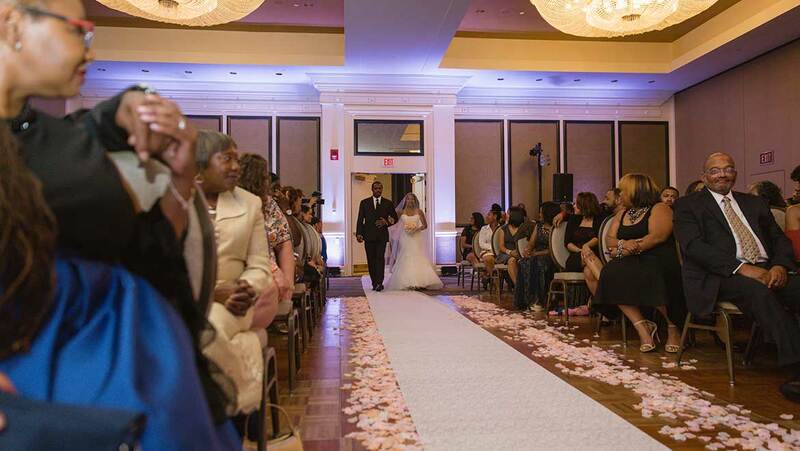 Each wedding tells a story of true love, authentic to the couple and their families. 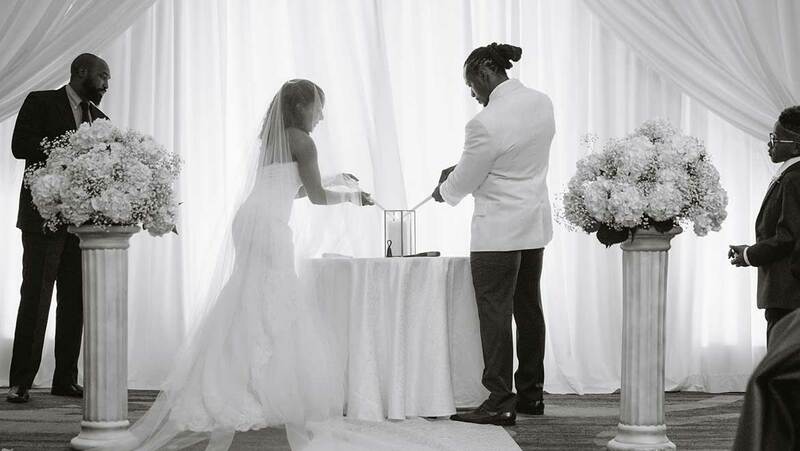 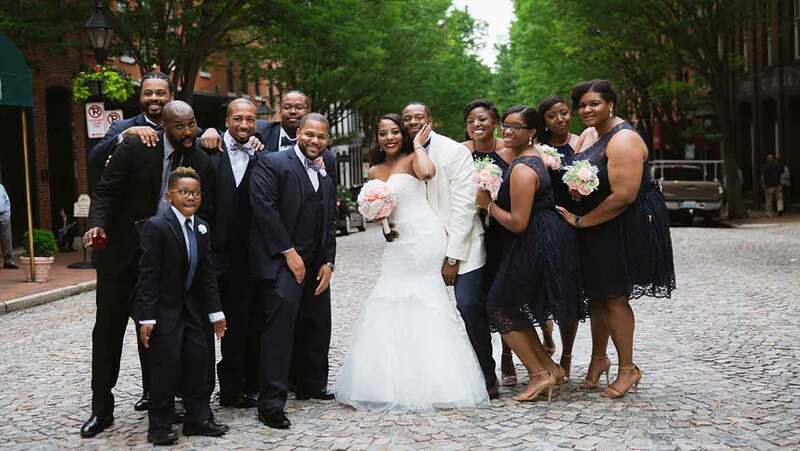 These real weddings paint a perfect picture of what can happen when you imagine it. 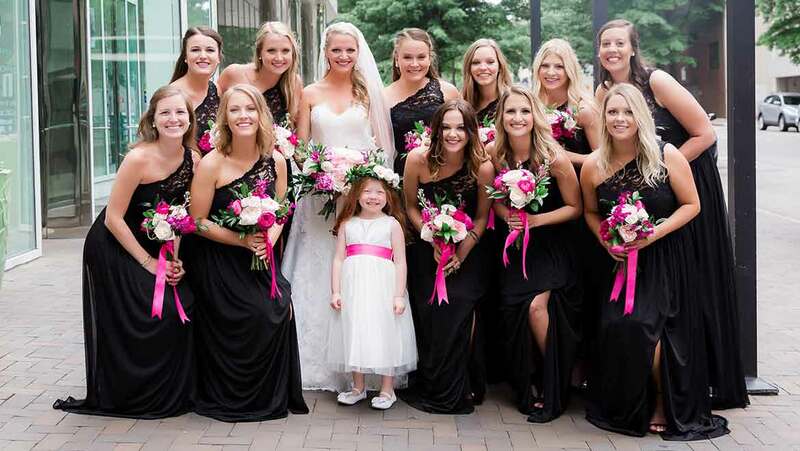 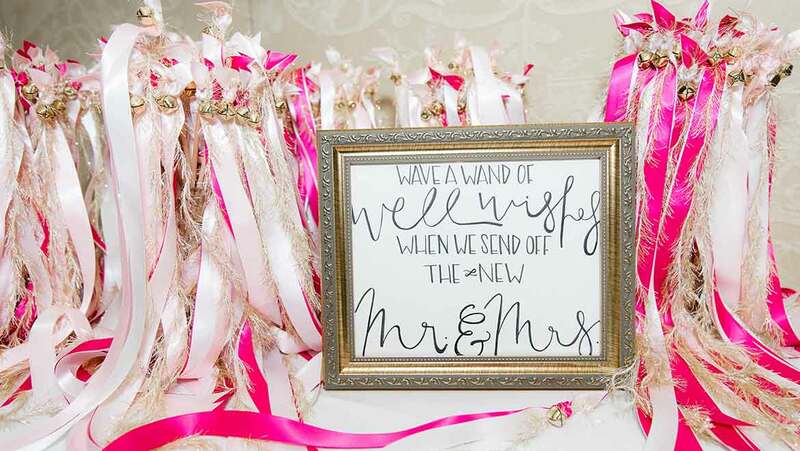 Madison and Lane went for a traditional black and white look with romantic pops of pink. 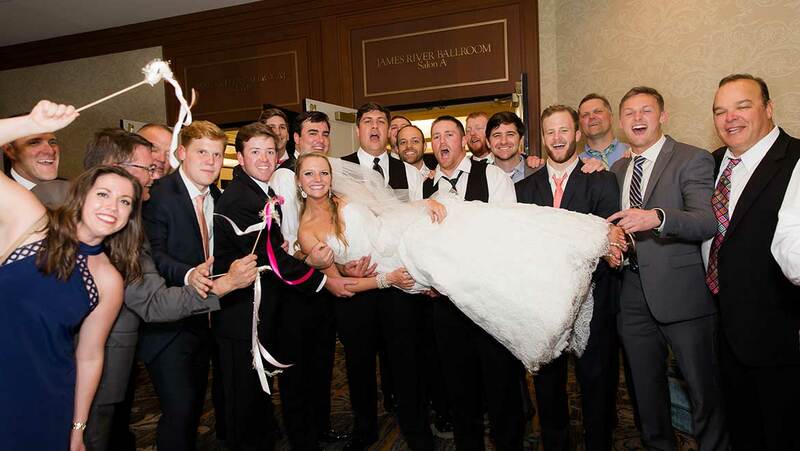 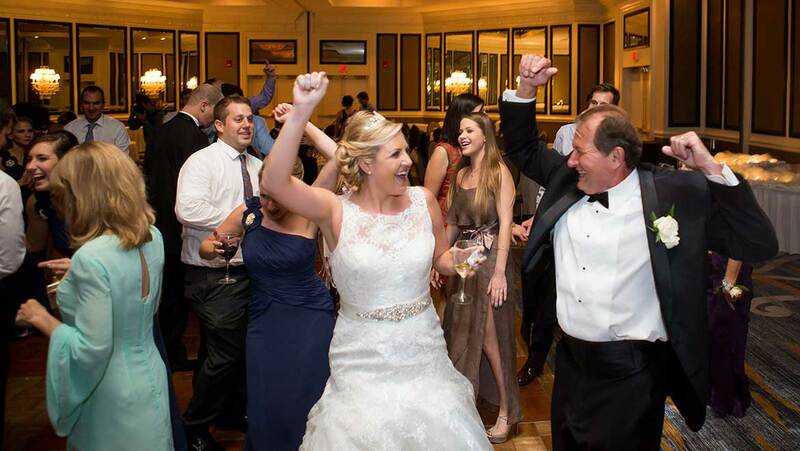 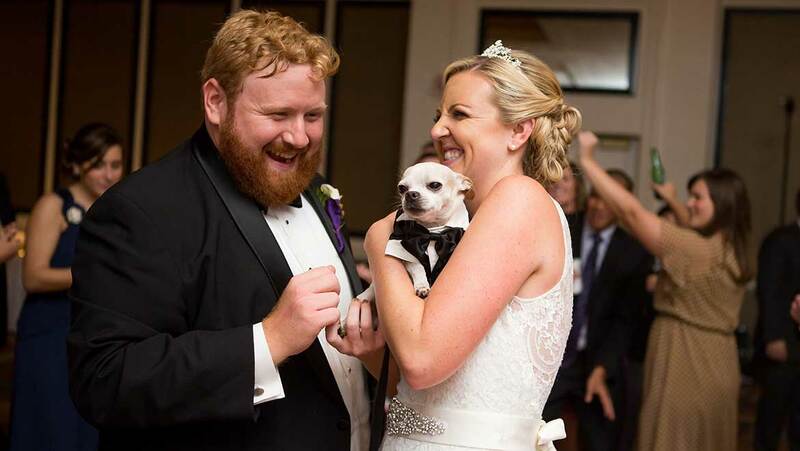 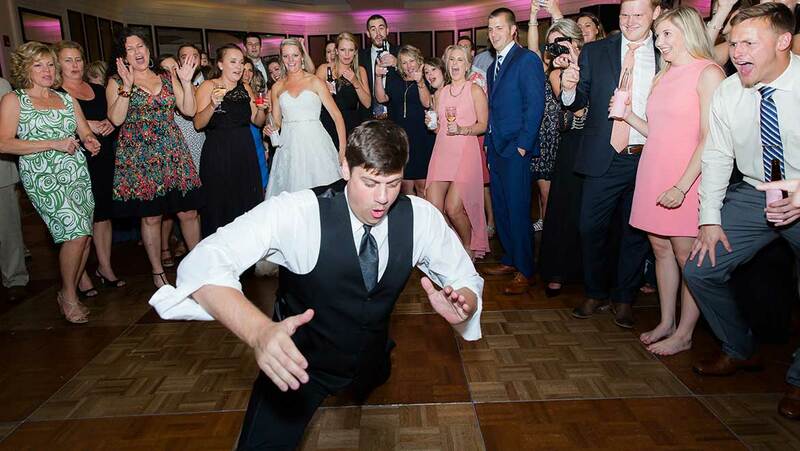 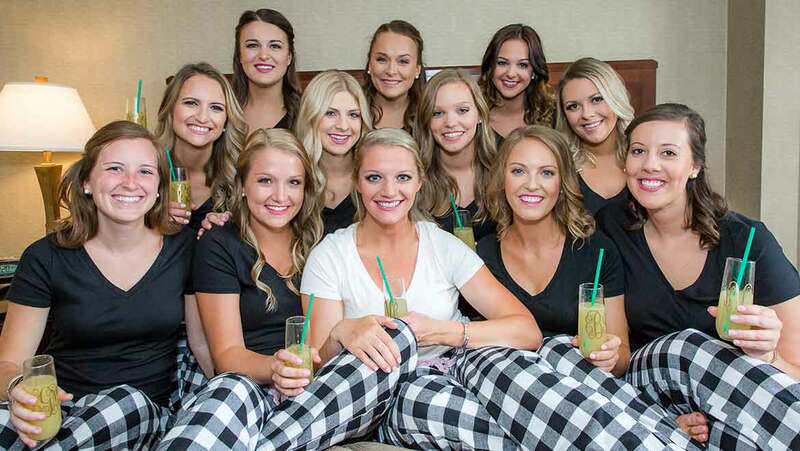 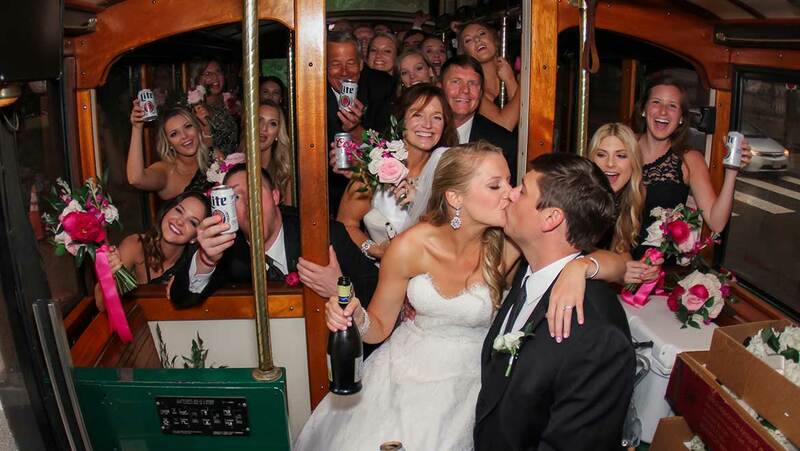 With 11 bridesmaids and 10 groomsmen, the wedding party was full of energy and love for the bride and groom! 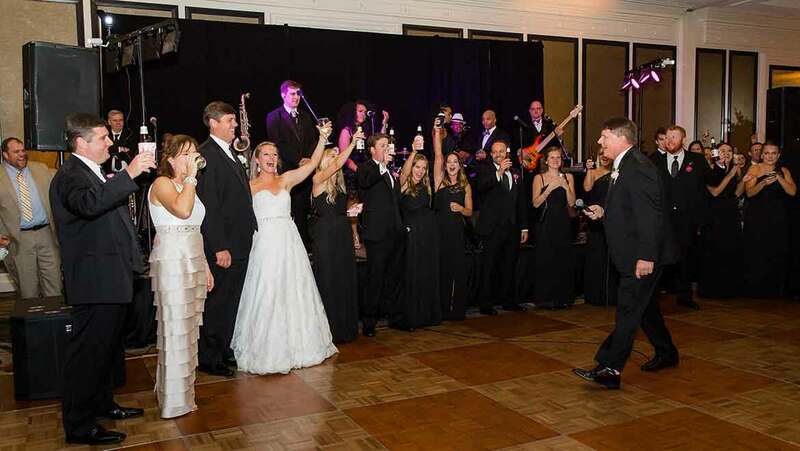 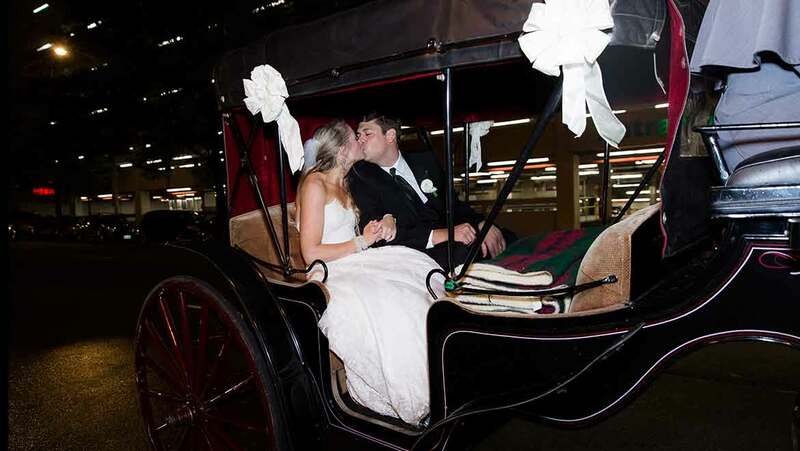 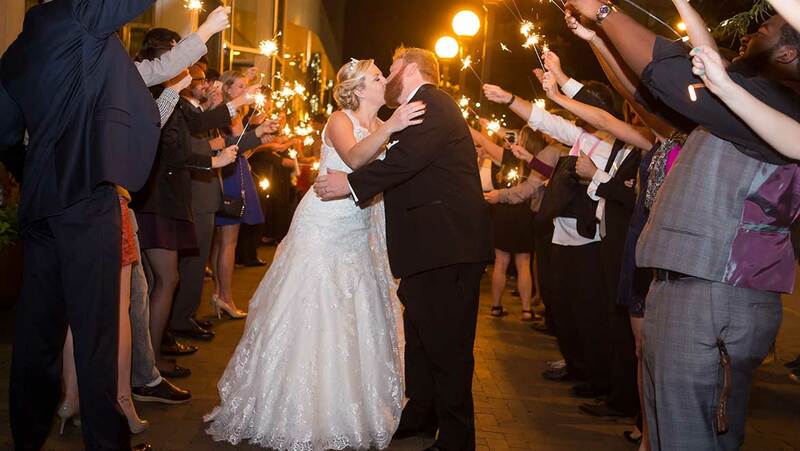 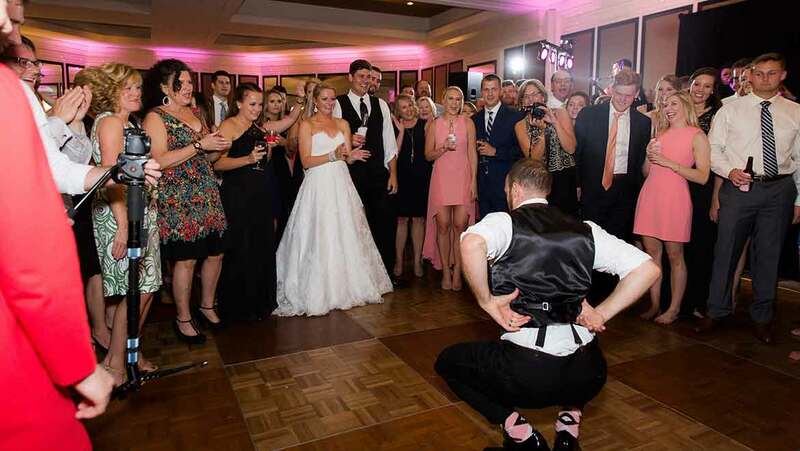 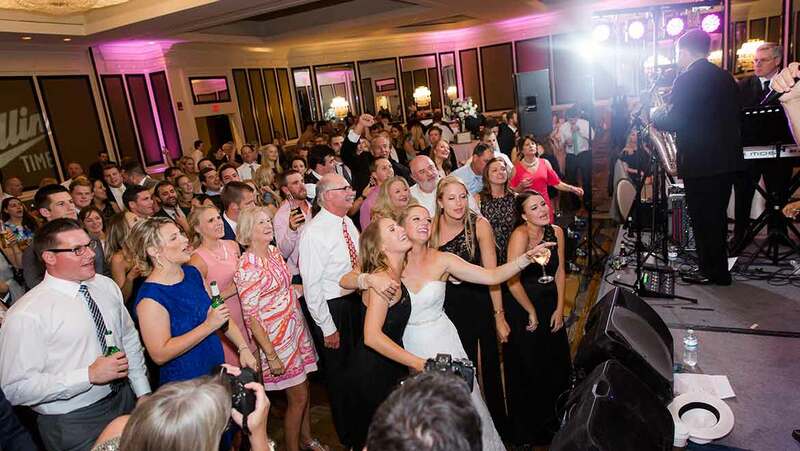 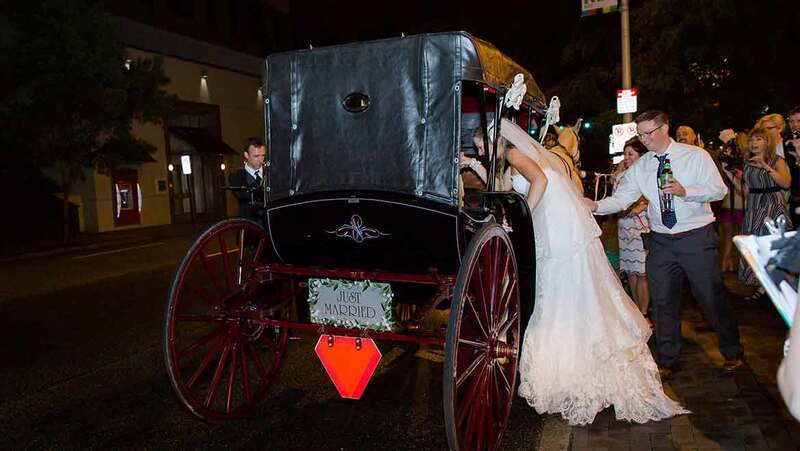 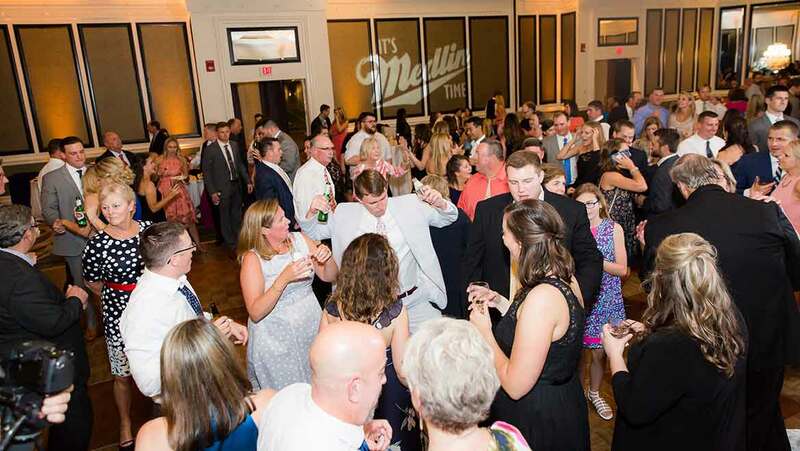 Over 300 guests enjoyed a night of dancing in the James River Ballroom followed by the bride and groom's grand exit in a horse and carriage outside of the James Center. 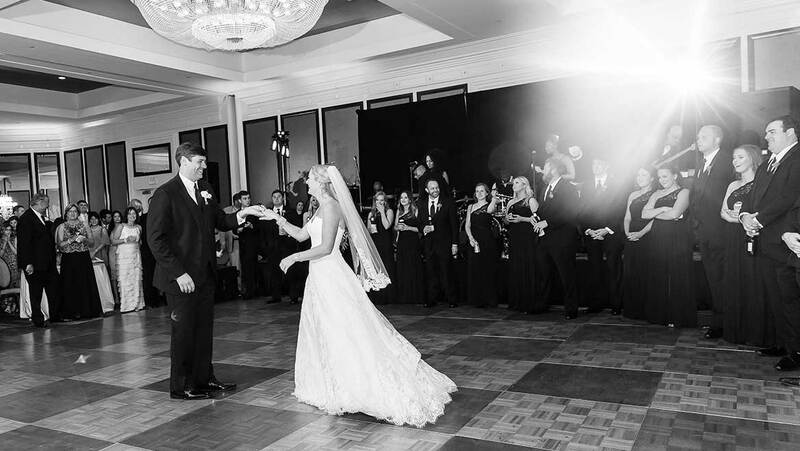 Fun fact about the couple: They are five years apart and they met because Lane was great friends with Madison's older brother! 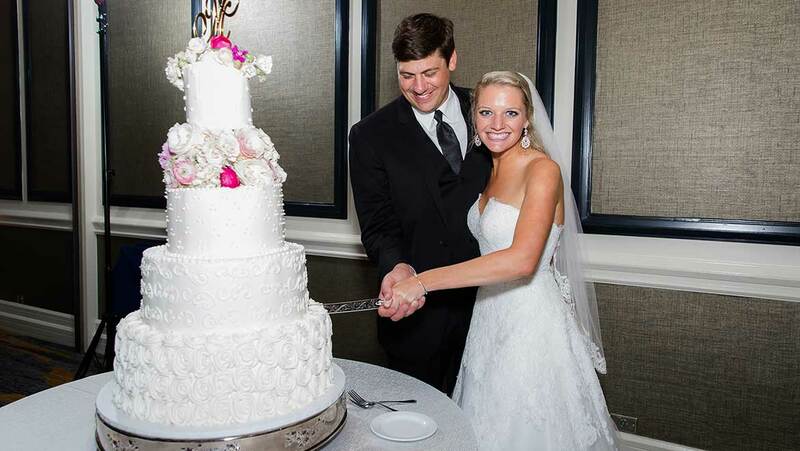 They dated for five years before tying the knot in April. 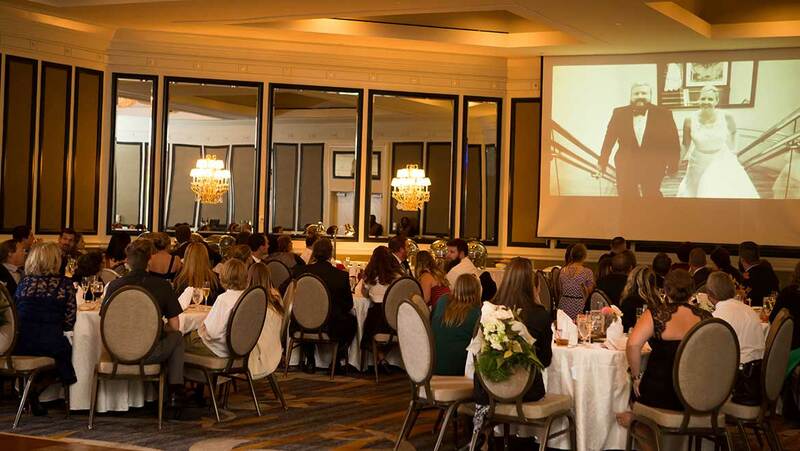 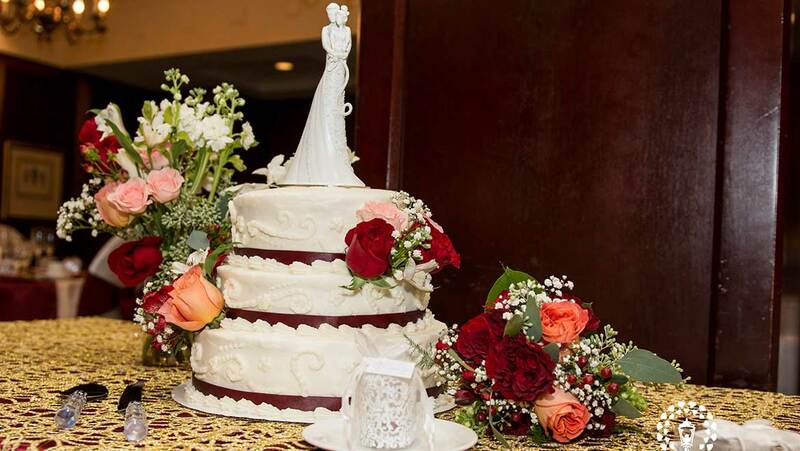 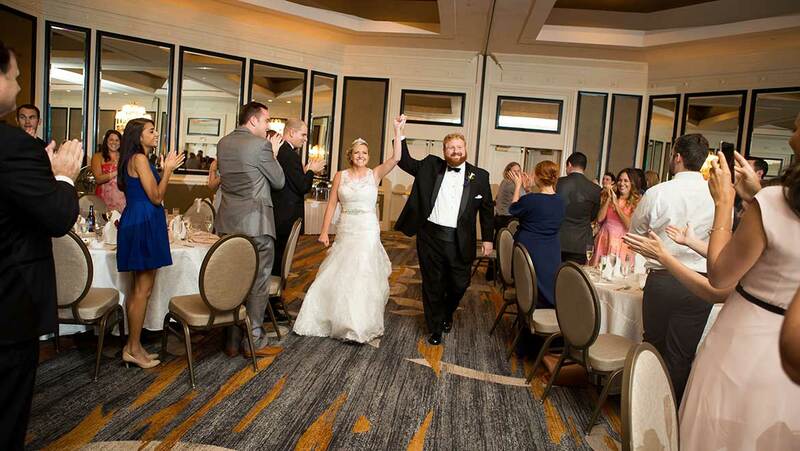 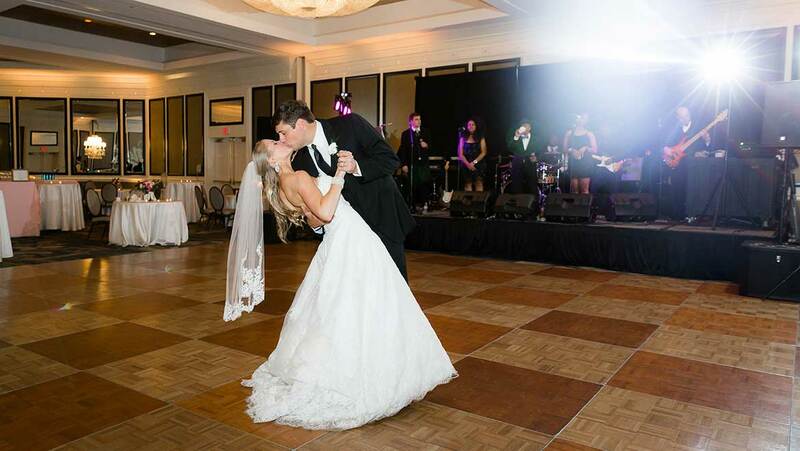 Fun fact about the wedding: "One of the best parts about the venue was coming into the ballroom before the wedding reception started and seeing the beauty the Omni put together- it was a dream!" 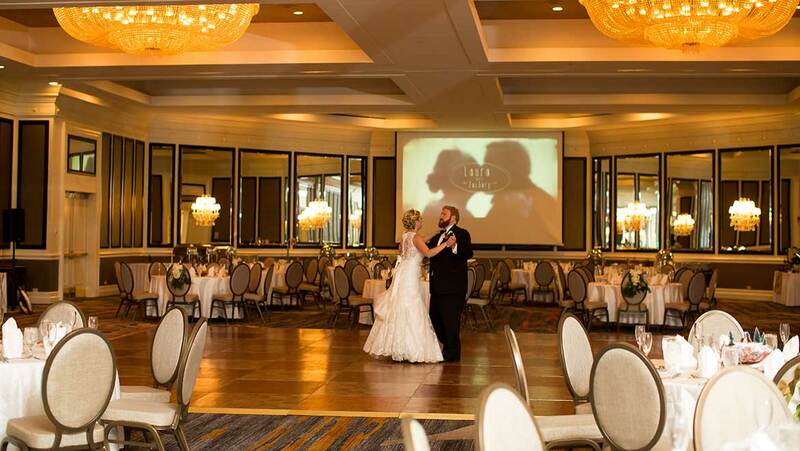 Jenn and Nic fell in love with the beautiful chandeliers in the James River Ballroom and knew immediately they wanted their ceremony held in the gorgeous space. 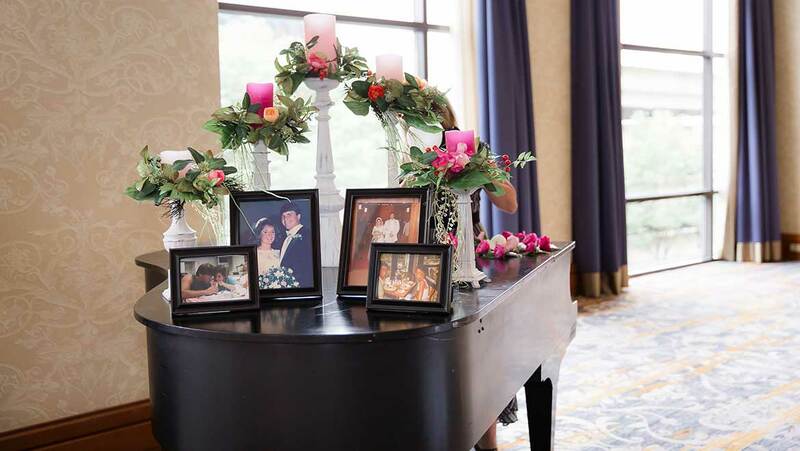 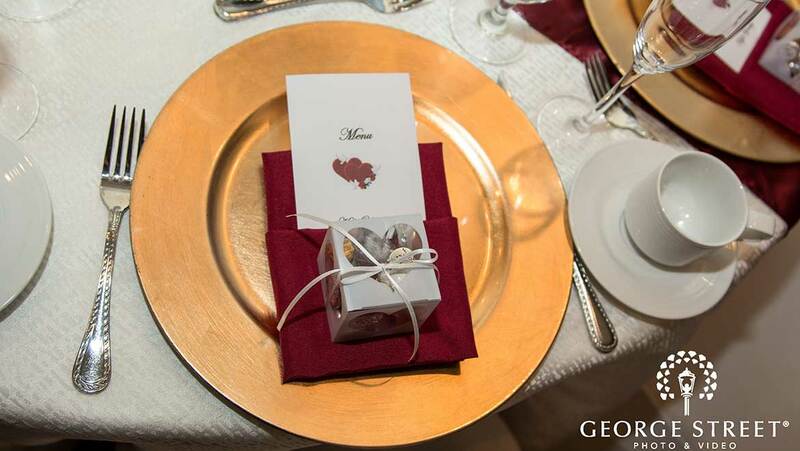 The Omni is already beautiful so the wedding decor was elegant and timeless. 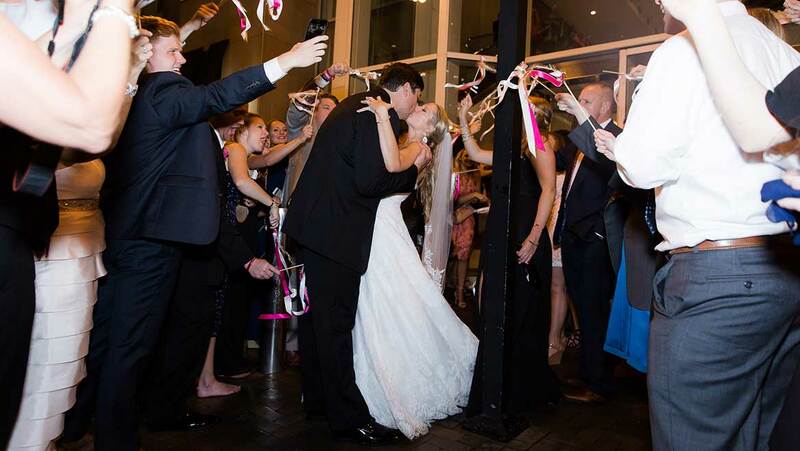 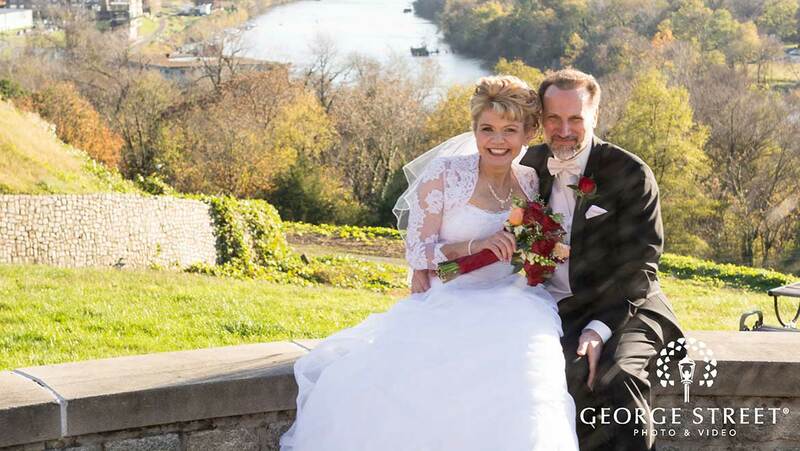 Following the ceremony, the couple took pictures directly outside of the hotel where they were surprised to meet the Governor of Virginia!